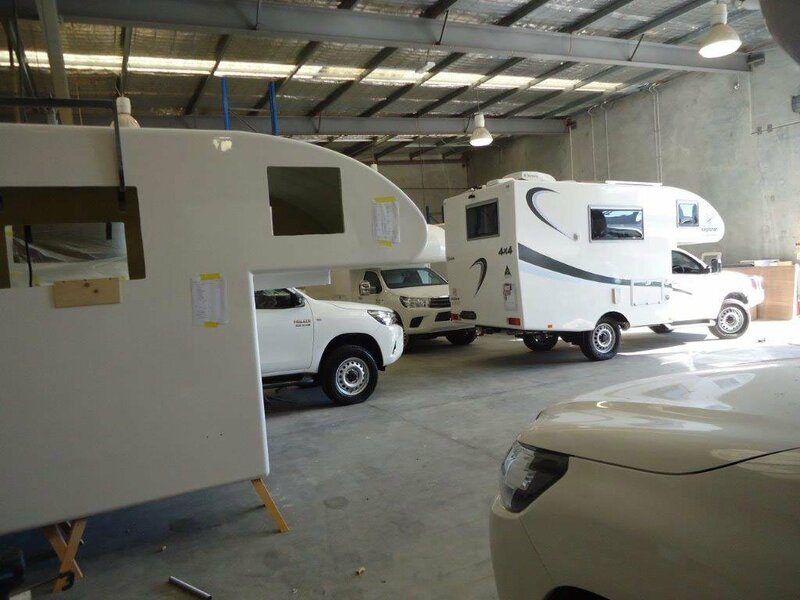 Explorer motorhome bodies are built as a one piece molding starting with a UV resistant gelcoat layer, followed by a reinforced fibreglass layer. A high density structural grade foam core is then installed, followed by an internal layer of reinforced fibreglass. 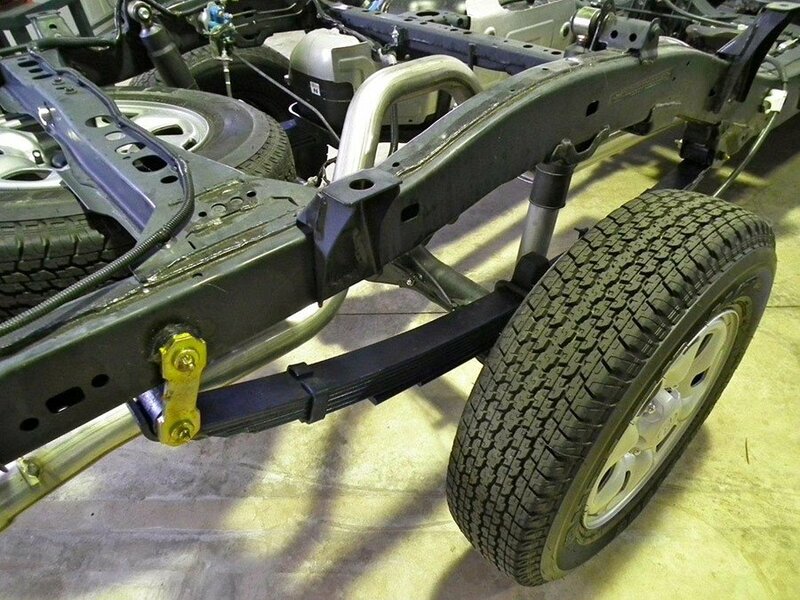 The result is a light weight, very strong, and totally joint free composite structure. 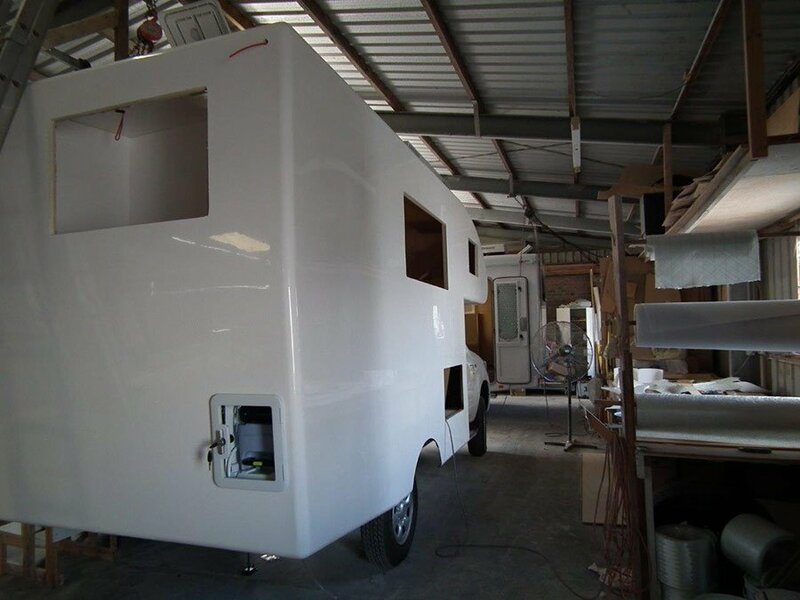 This molded construction allows for the greater flexibility in design, which has made possible the unique styling and aerodynamics of the Explorer motorhome. The high density foam core not only adds incredible strength and rigity to the body, it also provides exceptional insulation. There is no aluminum or steel frame to transmit heat or cold from inside to outside. 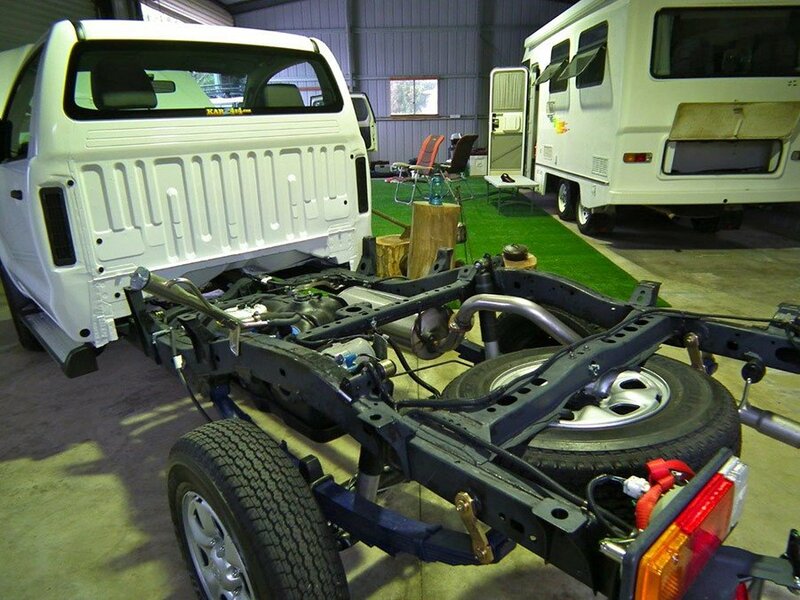 All internal furniture, walls and cleats are screwed and bonded or fibreglassed into the inner skin of the main body. This further increases the structural integrity of the unit. As there is no wall or roof framing required, the internal walls and furniture can be bonded wherever they make the best use of space and not only where a frame dictates. 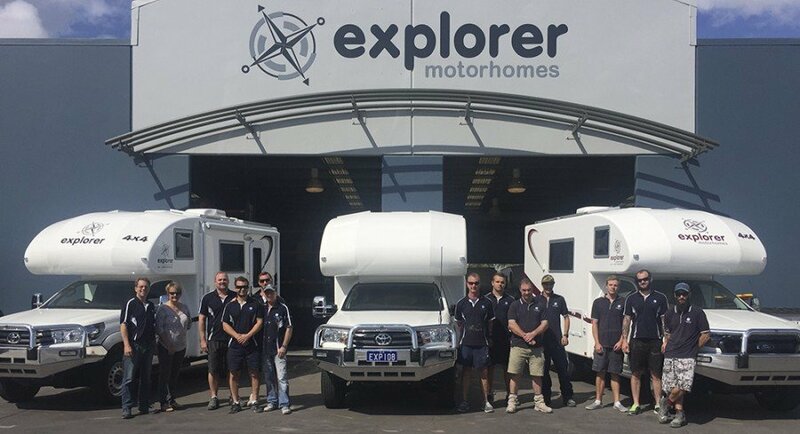 This has allowed for the unique, functional and spacious layout of the Explorer Motorhome / Camper. 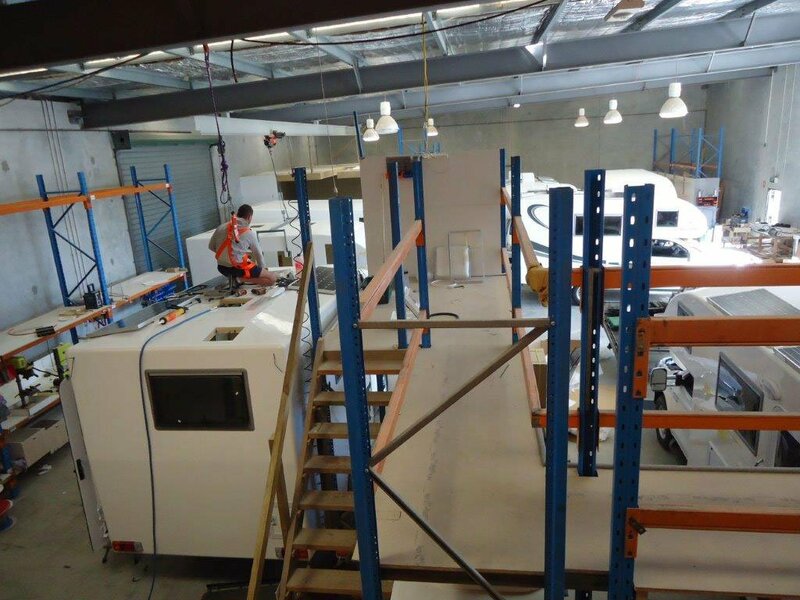 Our bench tops, tables and vanities are “Polystone” another extremely durable, light weight fibreglass product. Our furniture is light weight ply or plastic, definitely no chipboard or craftwood. 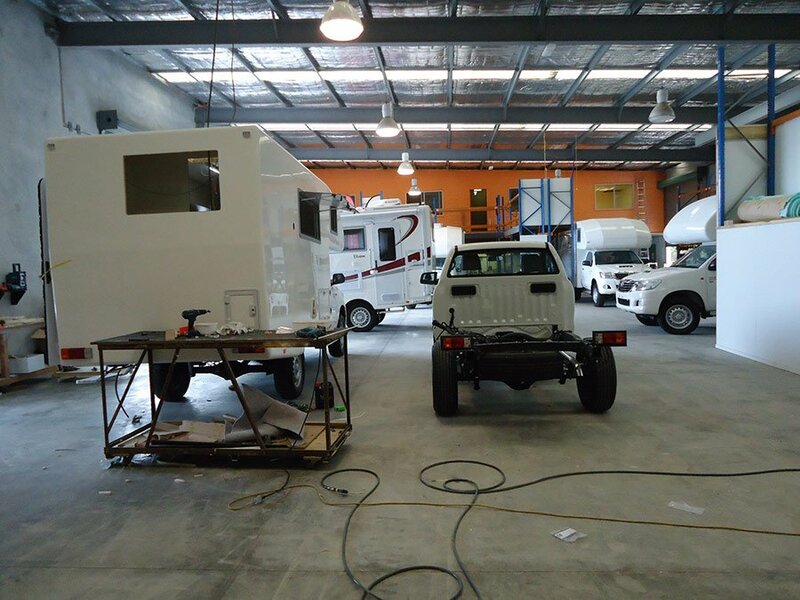 All construction is done in house by our experienced team and is closely monitored for quality and finish. 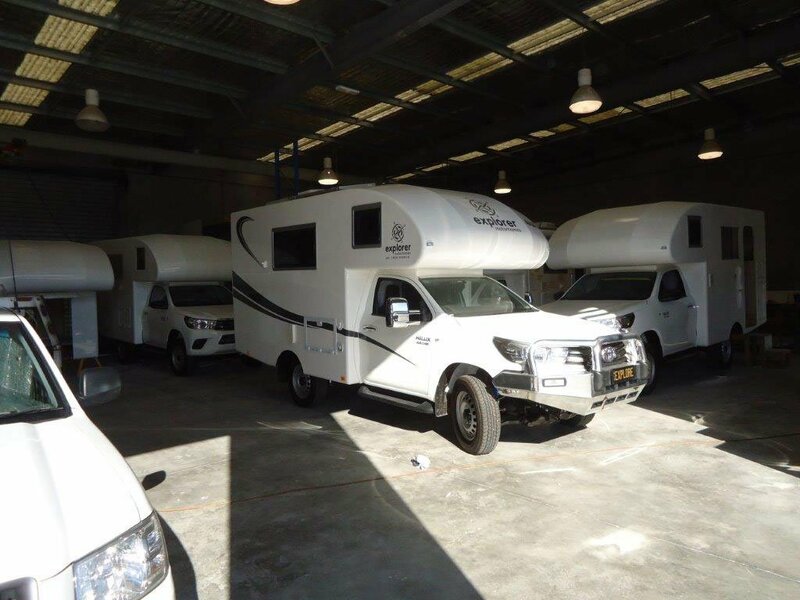 This is not the quickest, cheapest or easiest way to build a Motorhome or Camper Van, but there are thousands of kilometers of dirt roads, corrugations and rough tracks out there to be explored, so we wouldn’t build you a motorhome any other way.